Brayden Martin, 10, works on a paper in Pre-AP Chemistry. A student survey revealed Pre-AP Chemistry as one of the hardest classes in the school. Students file out of their last period classes and race to their cars or the bus to get home as soon as possible. They believe school ended for the day. With all their classwork out of the way they have little to worry about, but school never ends at 2:55 p.m.
To fully understand topics, students may have to study for hours after leaving school. On average, teachers assign one hour of homework every night. These hours cut into extracurricular activities, social life and create a lack of balance in the lives of students. 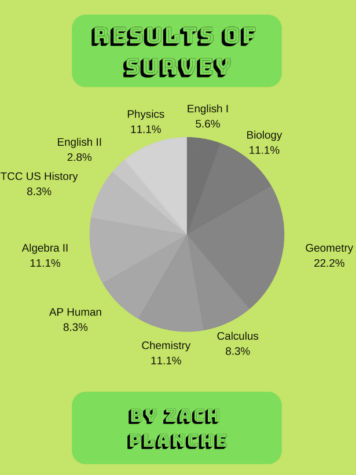 In a survey of 40 Legacy students, including sophomore Christian Kuper, respondents said that Geometry is the hardest class they have taken so far in high school. They believed their teacher did not meet their educational needs. Because of this, they did not understand the material. Students also thought the grading scale presented challenges. Tests in the class account for 50 percent of the overall grade. “I had homework every night and was already super busy to begin with, so it made Geometry extra hard,” Kuper said. The third most-mentioned class was AP Human Geography. The respondents all mentioned the workload and how the class revolved around vocabulary and in some situations they struggled to remember it. The study also showed Chemistry as a challenging class. These students had an issue with the amount of homework given. The podcasts the students take notes over consume a lot of time. Sophomore Preston Munguia believes the topics are complex and sometimes hard to understand. “If you don’t do your podcasts on time you won’t learn the content and fall behind,” Munguia said. 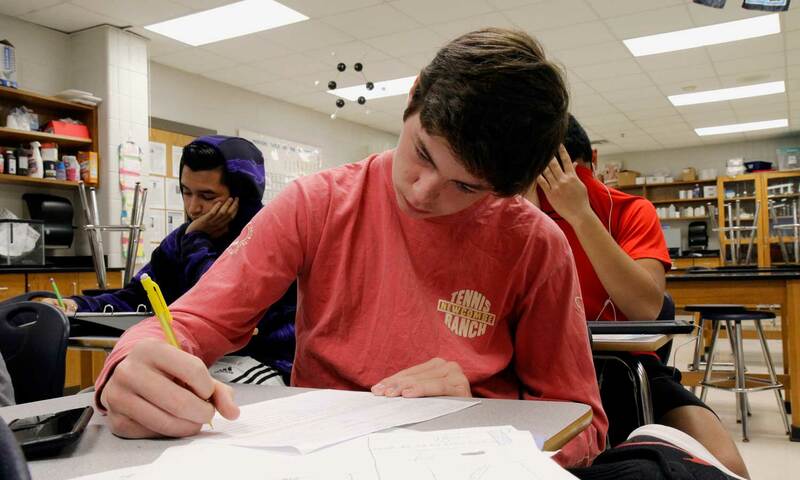 PreAP Chemistry teacher Jonathan Szostek realizes how students can find his class challenging, but he has solutions to these students’ troubles. The biggest issues students face trace back to poor time-management. Instead of studying or using time wisely, students may play video games or watch television. Build up of homework and loss of time can lead to long-term stress. Students lay victim to this ‘epidemic’ and can lead them to a lower GPA and other repercussions. In a study done by NYU, 49 percent of high school students feel some kind of stress on a daily basis. The pressure of getting things done can cause anxiety and make students more anxious, including junior Eyad Kamal. The Australian Professional Skills Institute has listed tips that students can use to manage their time. In conclusion of the article, you should first eliminate distractions and keep your focus. The use of organizers such as checklists and calendars are a great way to keep track of your obligations.